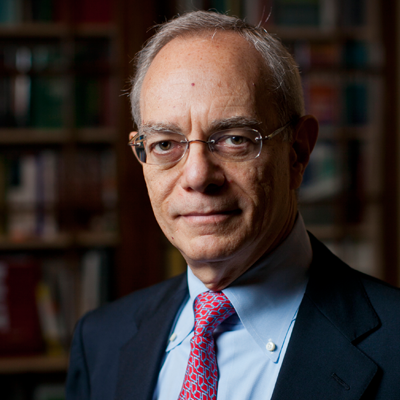 Rafael Reif has served as the 17th President of MIT since July 2012. In his inaugural speech, Dr. Reif outlined the threats and opportunities presented by the sudden rise of credible, low-cost online learning alternatives and challenged MIT to use the campus as a lab to explore the future of higher education. While fostering the rapid growth of MIT’s non-profit online learning platform edX – which has engaged 6 million unique learners from 196 countries – he also launched an Institute-wide Task Force on the Future of MIT Education. Issued in September 2014, the group’s final report spurred rapid adoption of blended learning models in MIT classrooms and the announcement (October 2015) of a new MicroMaster’s credential from MITx. In keeping with MIT’s role as a wellspring of innovation, Dr. Reif was asked by the White House to co-chair the steering committee of the national Advanced Manufacturing Partnership (AMP 2.0). In October 2013, to enhance MIT’s innovation ecosystem and foster education, research and policy, he launched the MIT Innovation Initiative; its preliminary report came out in December 2014. In that same spirit, in the spring of 2014 MIT began work on MIT.nano, a major new facility at the heart of campus that will accelerate research and innovation at the nanoscale, and in November 2015 he announced the creation of the MIT Hong Kong Innovation Node. In May 2014, Dr. Reif also launched the Environmental Solutions Initiative, anchored by the new Abdul Latif Jameel World Water and Food Security Laboratory. After a yearlong campus conversation about the most effective ways for the MIT community to combat global warming, MIT issued its Plan for Action on Climate Change, centered on research, education, campus sustainability and a strategy of industry engagement. In his previous role as MIT’s provost (2005-2012), Dr. Reif helped create and implement the strategy that allowed MIT to weather the global financial crisis; drove the growth of MIT’s global strategy; promoted a major faculty-led effort to address challenges around race and diversity; helped launch the Institute for Medical Engineering and Sciences; and spearheaded the development of the Institute’s online learning initiatives, MITx and edX. For his work in developing MITx, he received the 2012 Tribeca Disruptive Innovation Award. A member of the MIT faculty since 1980, Dr. Reif has served as director of MIT’s Microsystems Technology Laboratories and as department head of Electrical Engineering and Computer Science. In 2004, he was named the Fariborz Maseeh Professor of Emerging Technology, a title he held until he was selected as president. A fellow of the Institute of Electrical and Electronics Engineers (IEEE) and an elected member of both the National Academy of Engineering and the American Academy of Arts and Sciences, Dr. Reif is the inventor or co-inventor on 15 patents, has edited or co-edited five books and has supervised 38 doctoral theses. He received the degree of Ingeniero Eléctrico from Universidad de Carabobo, Valencia, Venezuela, and his doctorate in electrical engineering from Stanford University.